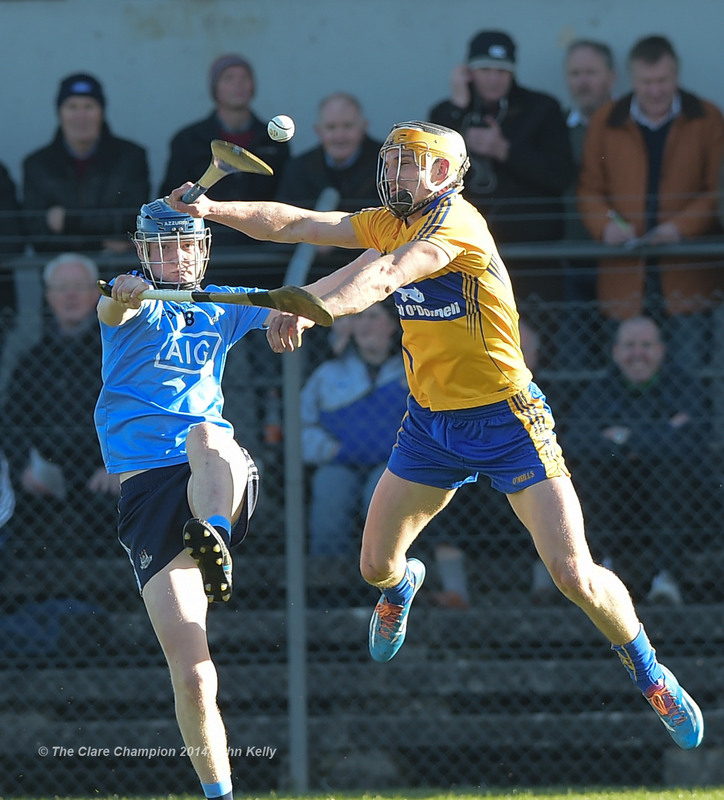 Tony Kelly of Clare in action against Mark Schutte of Dublin during their NHL Division 1 Round 4 game in Cusack Park. Photograph by John Kelly. 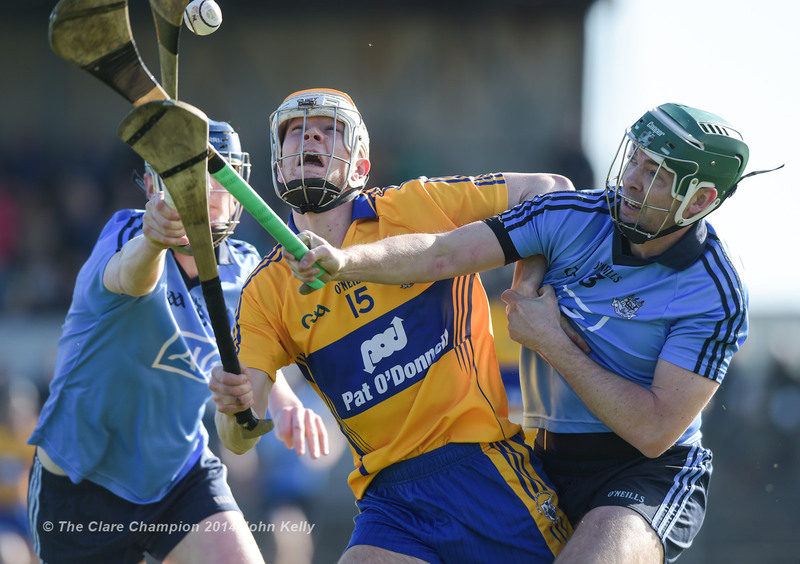 A second man of the match performance in five days from Tony Kelly inspired the Clare hurlers to their first win in this season’s Allianz hurling league when they overcame Dublin at Cusack Park this Saturday afternoon. 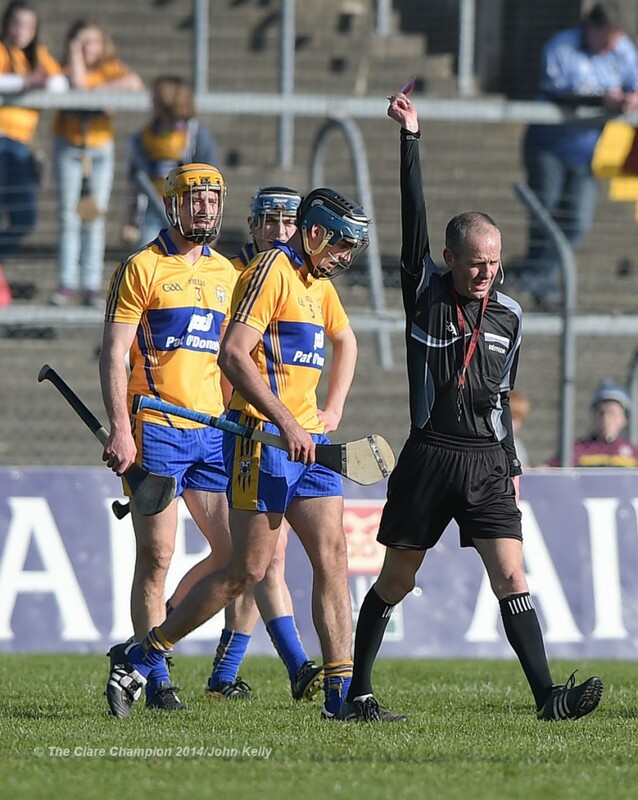 Brendan Bugler of Clare is shown a red card by referee Cathal Mc Allister during their NHL Division 1 Round 4 game against Dublin in Cusack Park. Photograph by John Kelly. It was a win that didn’t appear likely when the home side was reduced to fourteen men just before half time when Brendan Bugler was sent off following an off the ball incident. Kelly’s display was one of a number of outstanding performances from the Clare side for whom David McInerney, John Conlon, Conor McGrath, Shane O’Donnell, Colm Galvin in the final quarter and substitute David Reidy also had key roles in this impressive win, a result which keep the team’s hopes of avoiding the relegation play off alive. After scoring the opening two points, Clare conceded 1-3 in a five minute spell to trail by four after just eight minutes. The visitors went on to open a six point lead with ten minutes remaining in the half but Clare finished the half strongly and a goal from John Conlon with two minutes remaining cut the visitor’s lead to three points. Then Brendan Bugler was shown a straight red card which seemed the hand the advantage back to Dublin who led 1-12 to 1-10 at half time. 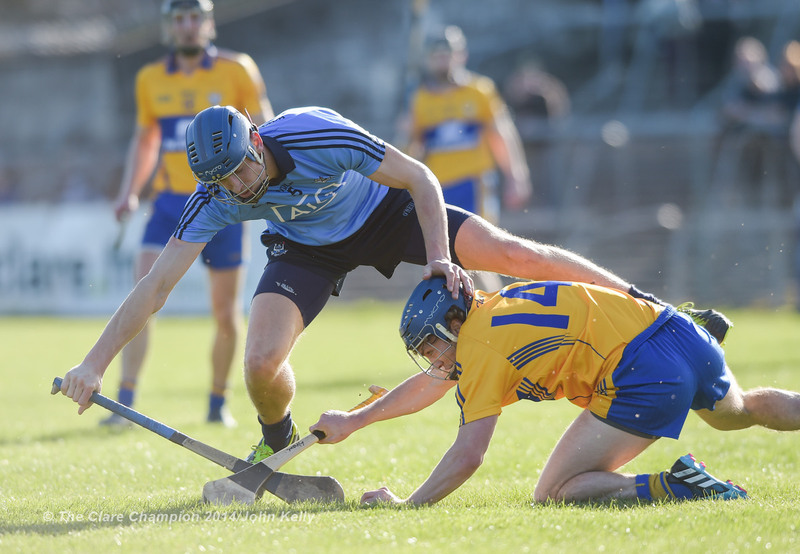 Points were swapped three times in the opening ten minutes of the second half before David O’Callaghan struck for Dublin’s second goal and a fourth successive defeat looked to be on the way for Clare. The introduction old David Reidy to the Clare attack allied to improved play from Colm Galvin helped the home side get the upperhand in a number of key areas. Urged on by their supporters in the attendance of 2,753,, Clare hit five unanswered points to level the game with twelve minutes remaining. A superb score from Tony Kelly after he had taken a pass from Colm Galvin put the Bannermen back in front and when Kelly goaled, after taking a pass from Reidy, four minutes from the end, Clare supporters were in full voice as their favourites led by four, 2-21 to 2-17. David McInerney then struck for the score of the game when he burst out of defence and fired over a point from all of 110metres. 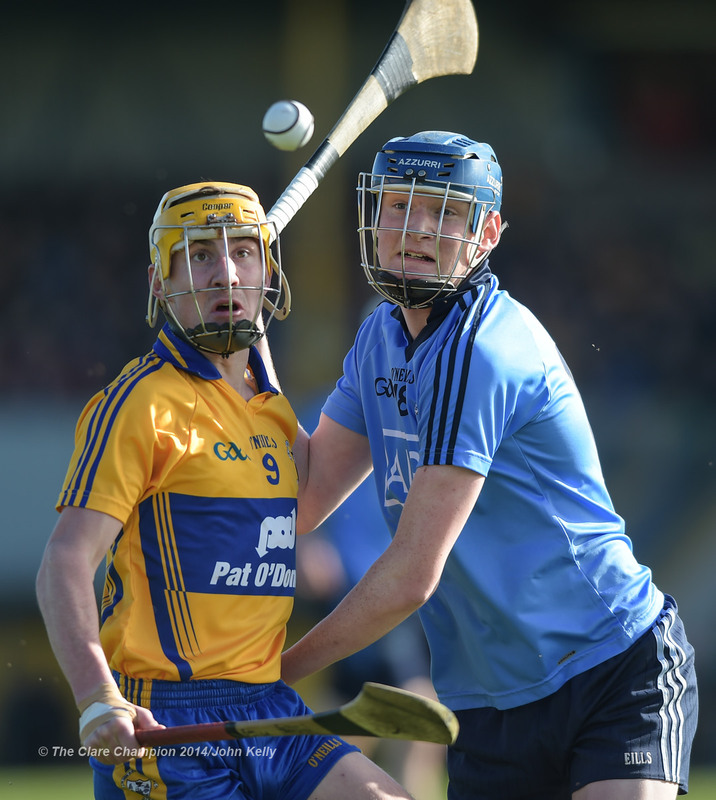 Dublin battled to the end but Clare held firm for a merited win. Niall Mc Morrow of Dublin in action against John Conlon of Clare during their NHL Division 1 Round 4 game in Cusack Park. Photograph by John Kelly. Chris Crummy of Dublin in action against Shane O Donnell of Clare during their NHL Division 1 Round 4 game in Cusack Park. Photograph by John Kelly. Aaron Cunningham of Clare in action against Michael Carton of Dublin during their NHL Division 1 Round 4 game in Cusack Park. Photograph by John Kelly. 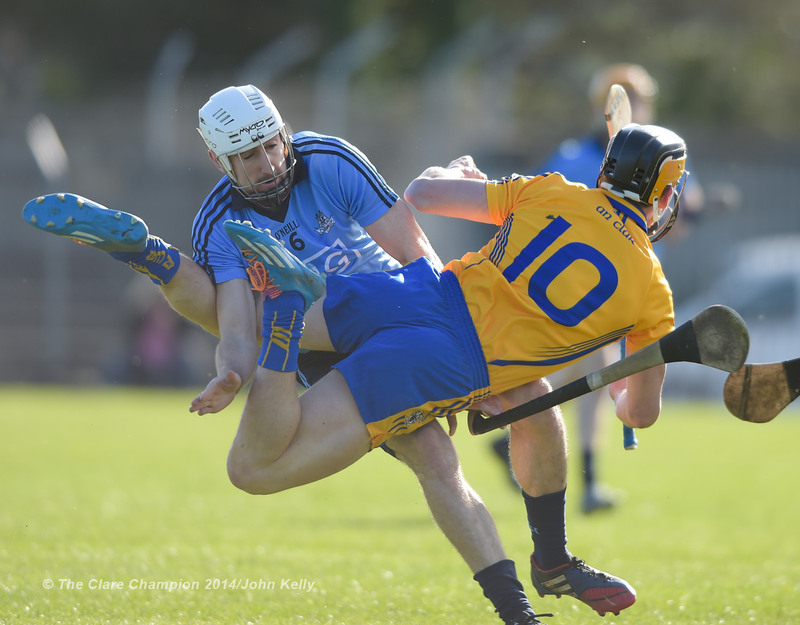 Peter Kelly of Dublin in action against John Conlon of Clare during their NHL Division 1 Round 4 game in Cusack Park. Photograph by John Kelly. 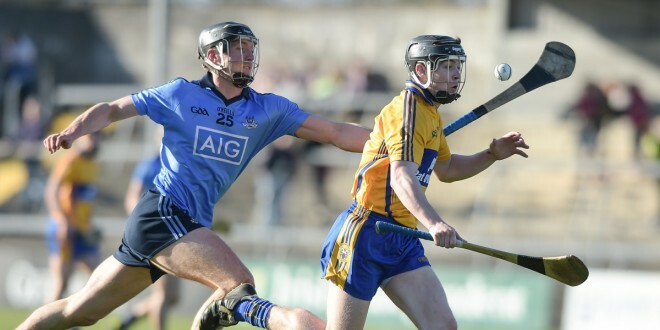 Colm Galvin of Clare in action against Shane Barrett of Dublin during their NHL Division 1 Round 4 game in Cusack Park. Photograph by John Kelly. 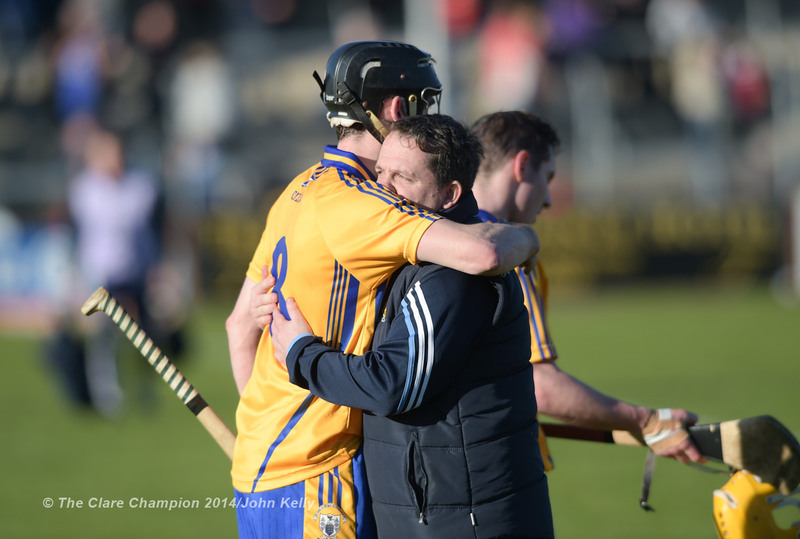 Clare manager Davy Fitzgerald embraces Pat Donnellan on the final whistle after their NHL Division 1 Round 4 game against Dublin in Cusack Park. Photograph by John Kelly. 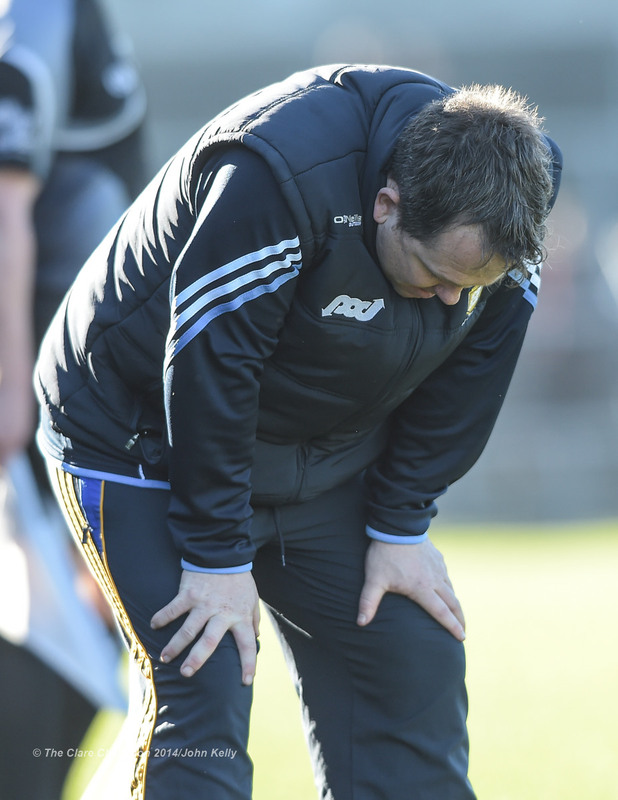 Clare manager Davy Fitzgerald gathers his breath after the final whistle in their NHL Division 1 Round 4 game against Dublin in Cusack Park. Photograph by John Kelly. Previous Clare to make changes for Armagh visit?